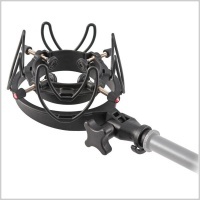 The Universal microphone shock-mount is ideal for microphones weighing 500 grammes or less (will hold up to 750 grammes) with a diameter between 55mm & 68mm. 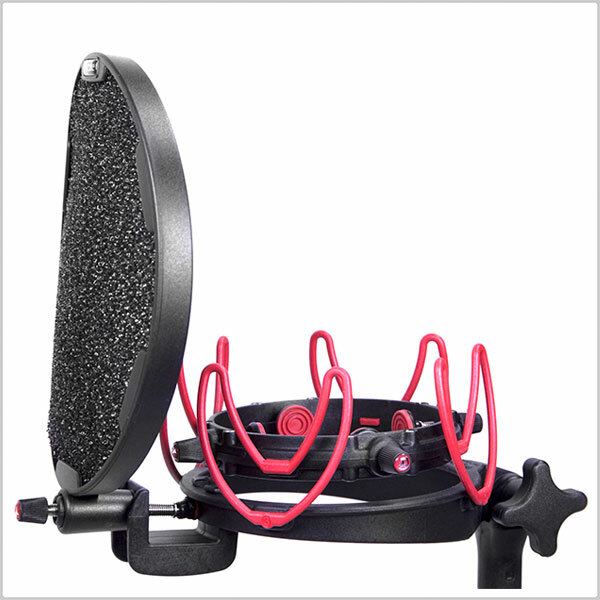 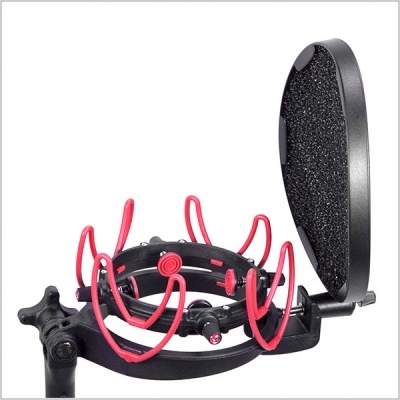 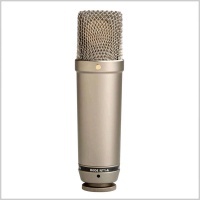 The pop filter simply attaches to the ring of the USM and can be tightened with the screw. 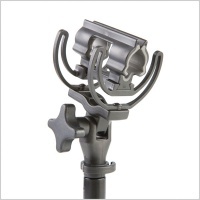 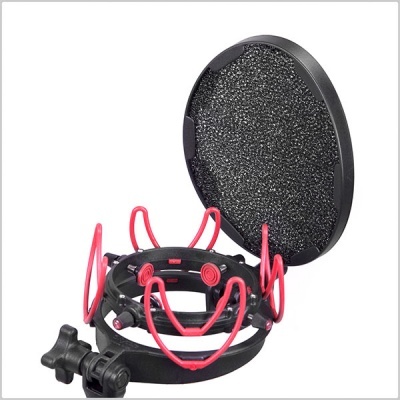 The InVision Studio Kit is a complete suspension and pop filter system, which combines the Universal Studio Mount VB-L (USM) with a Universal Pop Filter to make a complete vocal microphone suspension and pop filter system that will accommodate virtually any microphone. 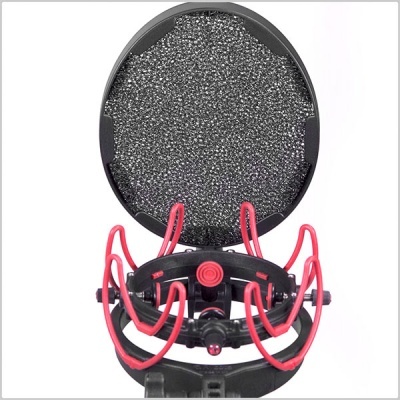 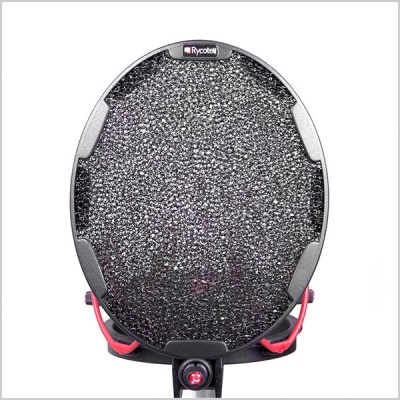 The Pop Filter is designed to lock tightly on the USM's outer support ring, where it can be left while mics are quickly and easily swapped in the USM.